Nobody teaches us to rest. Pastor Adam Mabry - like many others - discovered the consequences the hard way. This "starter in the art of rest" explores why we find it hard to stop and makes an urgent plea for us to discover patterns and rhythms of rest before the pace and complexity of life overwhelms us. This is a book I really wish I had read when I was starting in Christian ministry. This little jewel of a book made my heart sing. Like most of us Adam Mabry has struggled with the modern tyranny of busyness. In this short book – easily readable even by the busiest – he shows the biblical principal of rest to be a gift of grace, a taste of heaven and a counter-cultural statement of trust in our heavenly father. An inspiring and challenging read! A senior doctor once wrote to The Times, “We doctors in the treatment of nervous diseases, are compelled to provide periods of rest. 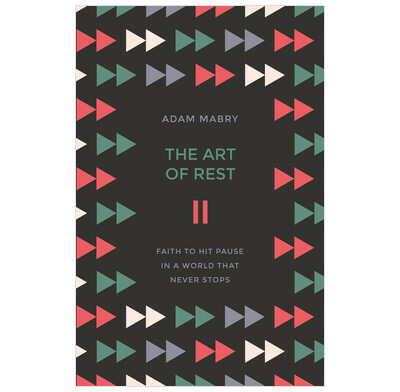 Some of these periods are, I think, only Sundays in arrears.” In this excellent book, Adam Mabry shows us that rest for the Christian is not optional—it's commanded for our good. After a careful handling of a biblical theology of rest, Mabry applies God's good command in a gospel-saturated and realistic way. This book will do you good and enable to rest well in a restless world.